It’s been a bit quiet in the sweatshop lately; I’ve been busy at work and on the home front. I did manage to buy Bridgette some lovely fabric in the Spotlight sale, but when I washed it the colours ran into the white. Disaster! I immediately used the Runaway stuff, but that took all the colour out of the flowers. Not a lot to do, but, in a triumph of hope over optimism, back I went to Spotlight and bought some more. See the difference? This time I washed it in water to which I had added cups of salt and vinegar. Looked ok. When I checked it this morning, the red had run into the white and looks terrible. The lady in Spotlight told me to take the fabric back, which I will be doing, but I am very disappointed. I’ve done a bit of sewing, but just things like taking in the red jeans and Linda pants. I think I need the size 6 pattern, but this means that I have to rebuy all the patterns, which I’m not going to do. I will hunt down those Burda patterns that everyone raves about. On another note, one of my finest creations, Archie (hehe! ), has been busy. 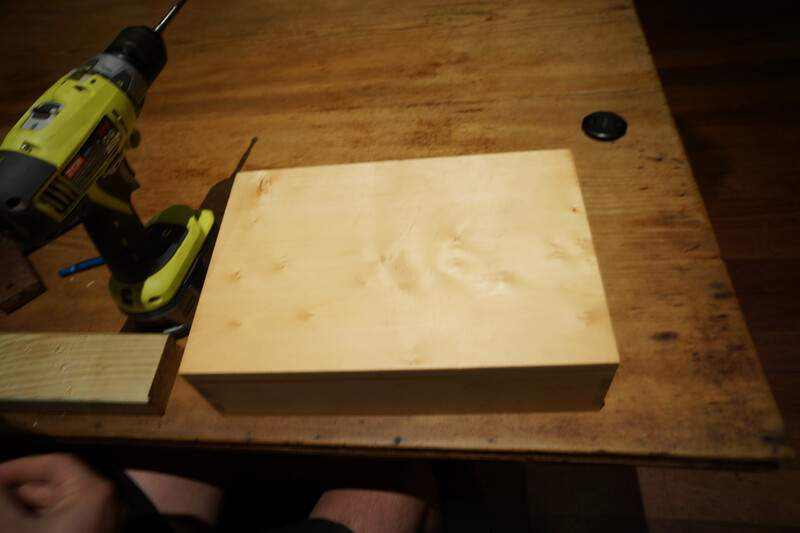 He’s making a beautiful Huon pine box. I will update the photo when it’s done. 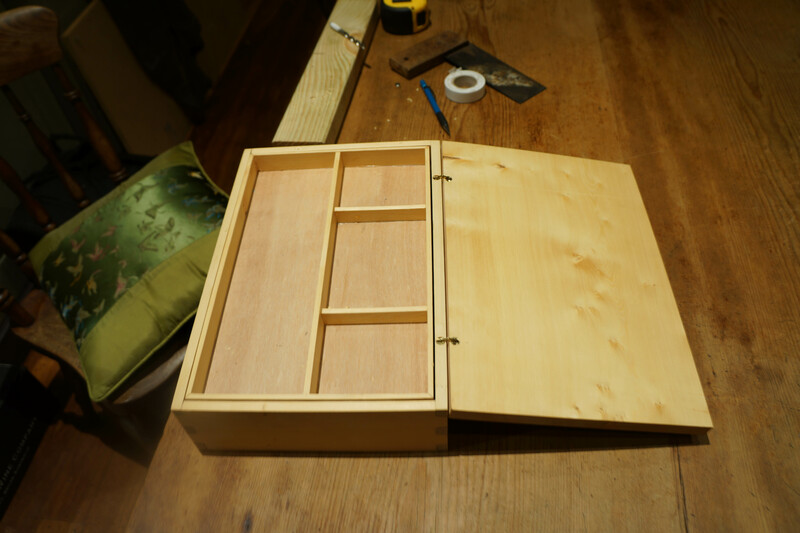 I love the figuring on Huon pine – so gorgeous. I was a bit hopeful it was for me, but alas, he’s making it for himself. Oh well, next time… (hint, hint). Archie is quite famous for his Huon pine rolling pins, but getting the pine is getting harder and harder. They are wonderful to use because the pine is so full of oil that nothing sticks to the rolling pin. How disappointing for you. Fancy having the colours run even after all the vinegar and salt! 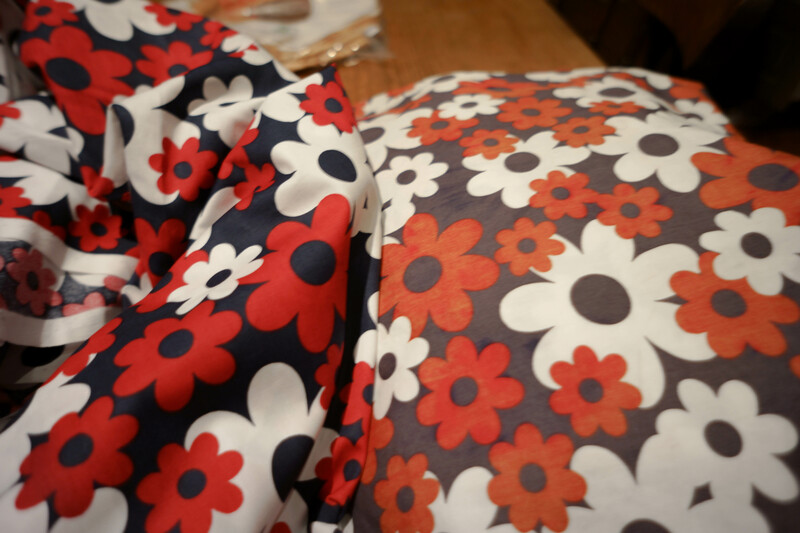 The fabric is so pretty too ….. Hopefully you can find another piece where the colours are fast. Thanks Lene, I am disappointed. I haven’t had this happen in years! I do walk a lot, mostly at night. My husband and I walk for about 90 minutes every night. How disappointing for you. Having the colours run even after all that vinegar and salt! I hope you can find another piece where the colours are fast. Well done with your pedometer – you must do a lot of walking every day to achieve such a high average. Previous Post Weekend and other stuff. Next Post Stash or bust?